Locating fish on new and different types of lakes can be challenging. What works on your usual fishing holes, more times than not, won’t be as productive on unknown lakes. Not all lakes are created equal and this couldn’t be more true than in Saskatchewan. Boasting 68 different species of fish, inhabiting more than 100,000 lakes in Saskatchewan, the differences are as vast as the province itself. My “home” lake is a man made reservoir that was once a river system. It now holds an abundance of walleye, pike and perch. This flooded river channel provides exceptional habitat for these fish as well as their forage. The southern Saskatchewan lakes I frequent range in depth from 0-60ft with my typical target depths from 6-30ft. More often than not, the middle range of these depths is the sweet spot for the longest period of time through the winter, which is about 12-24ft. Locating fish with extreme differences in structure and depth can be challenging especially on a reservoir lake. Drilling a hole in one spot at 18 feet of water, then taking two steps and drilling another hole and being in 35ft can be a challenge, but also rewarding when these close proximities of depths are available. Typically, when you find yourself in this situation, you have hit the old river channel and this can be a productive spot at certain times of day and year. We all know that fish move around, but knowing when and where they will end up, is always a challenge. I spend countless hours before ice up scouting spots, mapping the lake both on my electronics and in my head. So in my opinion, the more information you can collect throughout the year will make all fishing seasons more productive. When scouting late in the fall I’m looking for weed edges that will be decaying as the ice shows up. These edges will be key areas at first ice, for feeding pike and walleye, as these areas are habitat for our target species and their forage. At this stage you’re going to want to focus on shallow waters of about 6-12ft. If you can find a weed edge near a drop off you hit the jackpot as these fish will feed along the weed edge adjacent to an escape route near the depths. As the season rolls on and the ice thickens, fish will be headed for structure and this is where things can get confusing. Early to mid winter I head for points and breaks, typically near wood or rock structure that I’ve marked on my GPS during open water in the fall. This seems to be where the fish are in ambush mode which will produce some aggressive bites, but not for long. Feeding patterns change as pike and walleye do what I call “selective eating” as we reach mid to late winter. These fish are now transitioning into a morning and night bite pattern on vast mud flats. During this time, they roam to feed and when they are full, they will head to that deep river channel. I rarely fish the 25+ft depths at this time of year as I find those fish have just finished eating and are not interested in my offerings. I also don’t like to risk barotrauma to the fish at these depths. This can be a frustrating time of year if you’re looking to catch fish all day. If you’re willing to slug it out, the morning and evening bite usually makes the slow mid-day worth your while. Now, as we get to that time of year when you’re looking at the snow melting off your boat, most anglers have had enough of the ice and well, guess what? I’m just getting fired up! This is the time of year when the fish are putting a serious feed on before the spawn which typically yields my biggest fish of the year. During “March madness” I move closer to bays and river channels. Theses river channels seem to act like a highway as the fish move up out of the channel to feed as they are headed to staging areas near their spawning locations. During the end of the season I forget the middle depth ranges and position on 6ft shallow and 18-25ft deeper edges. These fish that are deep wont pass up an easy meal during this time of year and the ones that are holding in the shallows are there for one reason, and that’s to eat. Now the above may apply to my home lake but like I said, not all lakes are created equal. Typically any structure is good structure on most basin or pothole lakes where structure is few and far between. I recommend an app like Navionics if you’re going to head out to a new lake in pursuit of those big fish, or a different species altogether. There is an abundance of information and technology available to us now and if that fails, I will always do it the old fashioned way and talk to people. Most anglers will be happy to divulge information so that you can have a successful day on the ice, and if they don’t, then you probably don’t want their advice anyway. Knowledge of what fish are feeding on is the key to a successful day on the ice. I try to select lure patters and types based on available forage in the lake and my target species. The utilization of an underwater camera and flasher to determine how the fish are reacting to different lures and baits can be invaluable information, especially when trying new lakes. I have seen fish take off like a rocket as soon as I move a lure and a simple size or color adjustment is all it takes most times. Have you heard guys say “I saw lots of fish but they just wouldn’t bite”? I have, so many times, and I always ask did you change colors or sizes? 90% of the time the answer is no. There are so many choices these days when it comes to lure selection but I have never seen a lure more versatile than the Kamooki Lures Ltd. SmartFish. This is a lure I use extensively in the summer and one of the very few that get moved over to my ice fishing tackle come winter. The variety of color patterns Kamooki offers makes matching the forage base in almost all lakes simple, with my three favorites being Natural Perch, Walleye, and Fire Tiger. 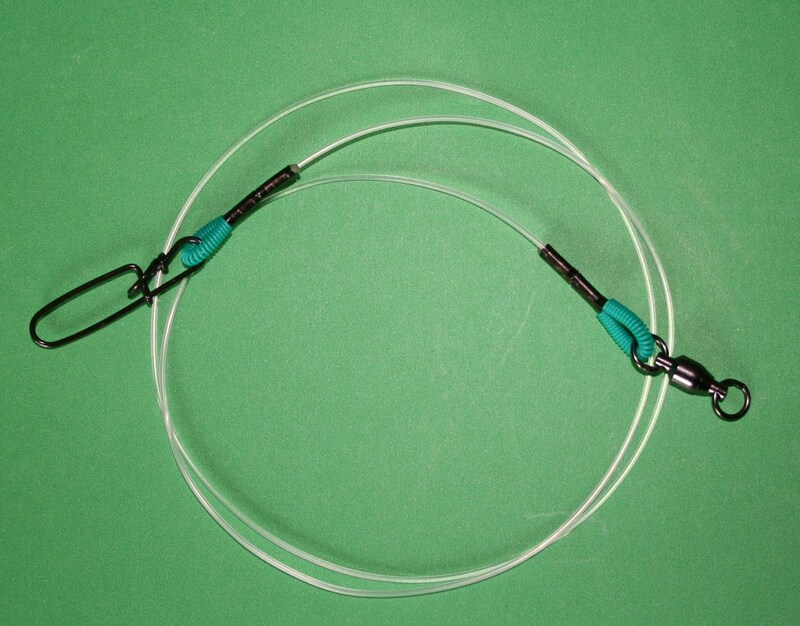 The 3 sizes available allow an angler to make small adjustments based on target species and aggressiveness of the fish. On my home lake, walleye can be very finicky and five times out of ten wont touch anything bigger than the 2.5” version, but if I’m on a bigger body of water with a typically more aggressive and bigger class of fish, I will size up to the 3” version (The same goes for pike from 3” to 4” sizes). When targeting pike, I will exaggerate my color selection to maintain the attention of the fish with something bright or shinny. When vertical jigging the Kamooki Smartfish, a variety of presentation types can be used, and I typically deploy these on the same fish until it strikes. For pike, I aggressively rip-jig the Smartfish 0-2 ft off bottom with a 1-3ft lift 3-4 times then, I simply pause at or above the fish and wait for a reaction. If this fails to tempt or better yet, trigger a strike, I will then bounce it on bottom a couple of times and slowly “flutter jig” the Smartfish while raising it upwards. This usually re-activates the fish’s attention and will often strike if they didn’t first attempt. For walleye, I use the same “flutter jig” method with a less aggressive approach starting on bottom and fluttering it as I raise it up 1-2ft, then allowing the Smartfish to fall back to bottom. Another technique is to bottom bounce the Smartfish. The key principal here is in two phases. First, the attracting phase which is a series a bounces on bottom stirs up sand, silt and mud. Second, which involves allowing the bait to settle on bottom, will trigger walleye to attack and devour the easy meal in front of it. The Kamooki Smartfish is perfectly designed for this method with its nose down, tail up design. Let the fish tell you what they want by learning to read your electronics. Making a mental note of how the marks (fish) are reacting or following will keep you in the know throughout the day. Here’s a tip from Exist To Fish Canada Editor in Chief Jamie Wilson “A triggering phase is this; when a walleye, pike or any fish for that matter, becomes interested, simply reeling the Smartfish away which mimics a fleeing baitfish will more often than not, seal the deal”. He continues “call them in with the vibration and rattles, get them keyed into the presentation, then, trigger a response. Predators such as pike and walleye are programmed to attack when a baitfish swims away in fear. When jigging the Smartfish, you will find that it swims upward with an erratic spiraling action so make sure to always tie on a quality snap swivel to combat line twist”. Don’t be afraid to try different speeds and levels of aggressiveness when jigging. If a fish comes in to investigate, but doesn’t hit, alter your tactics slightly the next time that you see a follower on the sonar. When using hard baits or lipless cranks, I rarely attach bait which alters the action and natural presentation of the lure. When forgoing bait, I have encountered fish that followed and were interested in the lure, yet, just wouldn’t commit to the visual cues I’m presenting to them. To remedy this I use Liquid Mayhem on all of my lures. You see, fish are mainly visual feeders, but when visual cues aren’t enough, scent definitely comes into play in my opinion. Matching the scent to the available forage in the lake to will make for a truly natural offering, and thus, prolonged success and consistency. My go-to scents when targeting walleye and pike are Pike/Muskie (Sunfish) and Walleye (Garlic Minnow). Liquid Mayhem sends out a powerful “scent trail” which is enticing due to the fact that amino acids and proteins from real baitfish are present. Due to the cold water in the winter, Liquid Mayhem stays on lures a long, long time. I simply apply a line of it to the belly of any lures or artificial baits and when I feel it has worn off, I just re-apply. When targeting walleye and pike through the ice I keep my tackle simple. I have two small tackle organizers that fit in my pockets. One, I have filled with various tungsten and standard jigs up to ¼ oz in various colors. In Saskatchewan we are not able to use live minnows so my jigs are tipped with frozen minnows, night crawlers, or mealworms. I utilize these offerings as a dead stick presentation not far from the hole that I’m working with a lipless crank, hard baits or jigging spoons which serves as an option to target a second “bonus” species such as perch. If the fish aren’t apt to hit the aggressively worked hardbaits, they will almost always take the easy meal nearby. My second tackle organizer is loaded with Kamooki Smartfish in various sizes and colors, some Jigging Raps, and various styles of jigging spoons in a variety of colors. 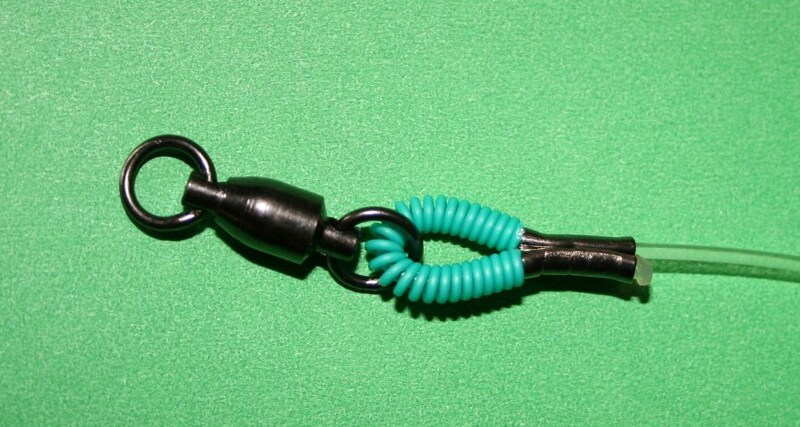 “One little trick” says Jamie “when it comes to Jigging Raps, you can replace the split ring with a Mustad “Fastach Clip” which gives you the ability to remove the treble, thread a minnow head onto the shank, and quickly re-attach the hook. You can thank Gord Pyzer for that one”. As last ice approaches I will put the “ice palace” away and move around freely with the portable hut, punching holes along flats as I follow fish into pre-spawn areas. This is the most exciting time of the year which, as I mentioned earlier, often produces my biggest fish of the year. The run and gun approach at this time of year is a must as fish are moving over a variety of depths as they migrate into the pre-spawn staging areas. Also, as the season progresses to this late ice period, more aggressive presentations become increasingly effective. “Longer days” Jamie explains “along with raising water temps, will fire up a fish’s metabolism which lends to faster more erratic retrieves. Triggering a feeding response in ravenous pike and walleye is job one”. For light panfish jigs and spoons, a 28-30” ultra-light combo spooled with 4lb braid coupled with a light 4-6lb fluorocarbon leader works. For the 2.5” Kamooki Smartfish a medium/light-medium action combo paired with 6lb braid, coupled with a 6-8lb fluorocarbon leader will suffice. For 4” 1/2oz Smartfish, a 30-32” medium heavy combo paired with 10lb braid coupled with a 10-12lb fluorocarbon leader is the deal. Jamie explains “A stiff fluorocarbon leader is important when jigging the Smartfish. As with all lipless crankbaits, you have to minimize the occurrence of the hooks getting caught up in the line”. And again, always tie in a quality snap swivel. Well, there you have it. As they say “it ain’t over ‘till it’s over” so get out there and put these tactics to good use. Fish behave differently from man-made reservoirs to natural lakes so get to know these bodies of water and hit them with a well thought out game plan. The biggest bites of the season await so stay safe and have fun! Ice fishing has progressed substantially from what it was when I first started to what it is today. Growing up sitting on a 5-gallon pail in the blistering cold blindly waiting for a fish to strike and the opportunity to pull it through a hole in the frozen lake. Now today as I’m comfortably sitting on a couch in a t shirt watching the hockey game on TV at the same time pulling fish through a seemingly similar hole in the ice but from the comfort of my permanent ice house. Ice house, ice shack, hut, shanty, or permanent house just like the many names for these structures on the hard water there are many types. From scrap wood thrown together to form a floor, four walls and a roof to luxury camper style houses on wheels that lower onto the ice. Whatever size, shape, or style they are designed to keep you out of the elements, warm, comfortable, easy set up and moved onto the lake and remain until spring arrives and the ice starts to melt. A permanent shack is a great option when you don’t want to spend your whole day punching hundreds of holes and setting up multiple times while battling the elements. With the introduction of pop up shelters and “run and gun” style of ice fishing vs sit and wait there has been much debate over levels of success with these two styles. While my pop up shelter gets a workout throughout the ice fishing season I can’t argue my success and comfort when fishing in my permanent ice shack. Sometimes it’s not about the number of fish caught but the memories made with family and friends in the ice shack. Using a few simple techniques, you can catch just as many fish in a permanent shack as drilling hundreds of holes and covering the entire lake with more time fishing and less time drilling and setting up. Here are a few tactics I use to put more fish on the ice. I utilize early season ice that won’t hold my permanent ice house to deploy my pop up and the run and gun style to scout for hot spots and figure out patterns. These hot spots and intel gained during this time set me up for success when the ice is thick enough for the permanent ice house to make its way onto the ice. Once I have established and GPS marked things like structure, drop offs, depth and number and size of fish caught in these areas as well as time of day it’s time to determine where to drop my permanent ice house. Although not necessary the use of electronics can greatly increase your level of success when fishing in a permanent ice house. Being able to see the structure, slope, and direction fish are moving on my Marcum Recon 5+ underwater camera and see how the fish are moving and reacting on my Marcum LX7 can determine whether I stay put and wait or move. I typically move my ice house 10-20 times a season to stay on the fish or in pursuit of higher numbers or bigger fish but not without doing some homework and most of the time it’s a slight adjustment closer to structure, deeper or shallower determined by what I’m seeing on my electronics. I typically target Walleye, perch and pike on a reservoir lake with old river channels, rock and wood structure, and vast mud/sand flats. More times than not and like most lakes there is a prime-time bite and you must wait it out in between roaming fish mid-day. Now you could go run and gun when fishing slows down after prime time but If you’re like me and you put in your time sitting on a 5-gallon pail and now enjoy being warm and comfortable while enjoying the sport of ice fishing there are some options to increase your success. When the bite slows down I typically do two things. One is switch up my lures and techniques. When the fish traffic slows, I tie on something that will attract them. Maybe they have moved off the mud flat to the nearby river channel and are not far away. For this some of my favorites are the Kamooki Lures Smartfish it has an extremely loud rattle and action that can call fish in for miles. Another one is the Matzuo Ikari Shad perfect for vertical jigging with a loud rattle, vibrations and bright patterns that the walleye can’t resist investigating. Now typically these will call them in and when investigating if they don’t attack the lure they will take the easy meal of the simple minnow and jig head on my nearby deadstick. Another secret weapon I use is scent. Using an attractant on your lures such as Liquid Mayhem can bring in nearby fish and get them to stay longer and hit harder. Second I typically try to position my permanent shack where I can utilize many different options and techniques throughout the day. Positioning near structure that holds fish or on the mud flat close to the river channel where mid-day the walleye move to. I can now throw out a tip up to cover more ice but still watch the flag from the comfort of my couch and not miss the 3rd period of the hockey game. I prefer to battle fish with a rod rather than hand over had so my go to tip up is the I Fish Pro tip up. This is also an option I use at night paired with an LED light that activates when the flag is tripped that I can see out of the window of my shack. You don’t have to spend your whole day drilling holes to catch fish and you don’t have to sacrifice comfort for catching fish. Utilize a few of these tactics in your permanent ice house and I guarantee you will put more fish on the ice this winter and have more fun doing it. Now that the colder weather seems to be settling in for the winter, I can’t help but recall the questions I had when I first began ice fishing. The Kawarthas Northumberland region is an ice angler’s paradise! So many species! So little time it seems. The frozen lakes provide an exciting and affordable way to get into the sport of ice fishing. Not only is it a great avenue for new anglers to explore, it truly is a terrific opportunity to spend time with family and friends during the winter months. Ice fishing can appear intimidating to a new comer. My best advice is to never go alone. Be sure to go with someone that is knowledgeable when it comes to ice safety and exercise caution at all times. With a few key factors in mind you are in for a great experience. Dressing for the elements is one of the most important parts of an enjoyable ice fishing trip. I always tend to overdress. That has never left me feeling cold which would take away from the experience dramatically. I recommend a thermal flotation suit. Not only are they very warm, but in the event that you were to go through the ice you have flotation to your benefit but this is certainly not a necessity. A good pair of thermal wind proof pants and a warm jacket will suffice. I will generally wear a balaclava to cover my head, face and neck while in transit to and from the area we are fishing. I like this for two reasons. I am completely covered and warm when I need to be, and I can lift it up and fold it to fit my head only once inside a hut. A good pair of boots is critical. The ice is cold and your feet will be on it the entire time. I have a pair of slip-on ice cleats that I like to put on my boots as well, for traction purposes. I wear a pair of ice picks on a string around my neck as well. These will allow me to pull myself up and out of the water if I happened to go through. Match all of that up with a decent pair of gloves and you are ready to enjoy some time on the ice! I think the best aspect of ice fishing is that it is fairly inexpensive to get started and just about everything you will need can be found at your local sporting good or fishing store. You will of course need a valid Ontario Outdoors Card with your fishing license. This is often something that is forgotten given the time of year we are generally out on the ice. I recommend a Sport license if you plan on keeping your catch. An auger is required to drill your holes. Several options are out there and accessible. Manual and power. I would recommend a manual auger with either an 8 or 10 inch diameter. They really do drill through the ice quite easily and are inexpensive for a beginner. Auger blades are VERY sharp. Handle with extreme care. Now that you are all setup, holes drilled and baits tied on. Experiment with different depths of the water column that you are fishing. A beginner will not likely have a depth finder or flasher of sorts. So use your baits to determine how deep you are fishing. Present them on the bottom, just below the ice, and in the middle of the water column until you make contact with fish. Fishing for me is about the experiences. The relationships and comradery that develops. Don’t get me wrong! The fish are a big part of that, and catching them is a blast. But the time spent in the outdoors with family and close friends are what keeps me coming back for more. The Kawarthas Northumberland region of Ontario is my home. And I plan to continue making fishing memories here in her 350 lakes and rivers for many years to come. Come and see for yourself! The region offers a multitude of angling opportunities and species to target. An often overlooked or underrated fishery present is that of the black Crappie. Not only are they present in the region in high numbers, but also in trophy size! A fish of 15” is notuncommon, especially this time of the year. Not to mention they are considered one of the best eating fish available. While they are not as tightly grouped in schools during the fall as they are during the spring spawning season, once located they are not difficult to entice. A 2 1/4-inch soft plastic paired with a 1/16 oz jig head. I will drop this bait down to the fish and gently twitch the offering about 12 inches above them. A small spoon. I keep colors simple. Gold or silver usually does the trick. I will drop this down to the fish and give it slight snaps of the wrists to make it flutter directly above them. One of my absolute favorites is a drop shot rig paired with a 1/4-ounce weight and small soft plastic bait. I love this rig because I can set the tag end weight depth according to the depth I am marking fish, ensuring I am presenting the bait slightly above the fish. I drop this down and quiver it ever so slightly to entice a lot of bites!